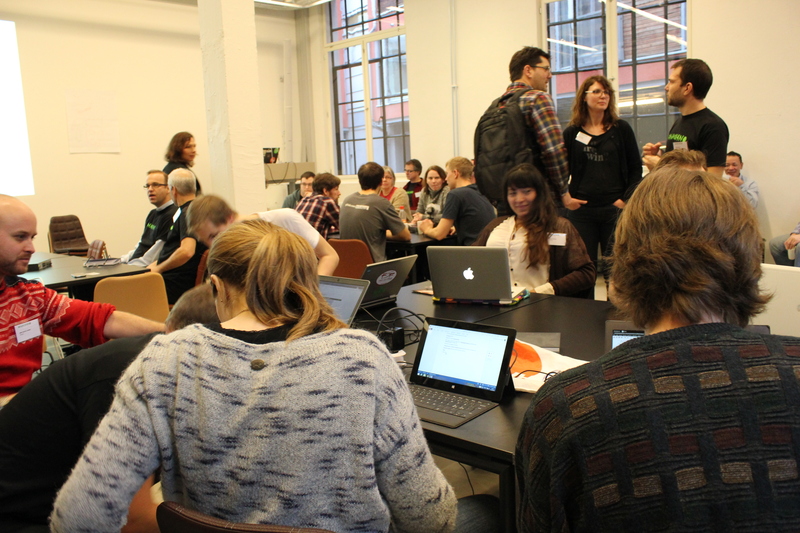 7th and 8th of February 2014, 189 hackers, designers, hackarounds and data providers gathered to play with exiting new ways of disseminating open data. Anybody who wanted to could participate in this two day effort to make contents from public databases open and accessible to the hackers. Nineteen data providers were present. Not only could they help the hackers get to the information they wanted. Of equal importance was the feedback they got on their data and API’s. A meetup on January the 22nd and a seminar on February the 6th predated and paved way for the hack itself. Unlimited quantities of snacks, chocolate and beverages. We’re not ashamed to claim the hack a major success. 14 solutions and prototypes were contributed to the competition, and they were of high quality and diversity. Many of the contributions were even made by collaborators who met for the first time and teamed up during the hack. The atmosphere, positivism and sense of support and collaboration promises well. We’re quite sure quite a few future collaborations and projects will grow from this Hack. The first of the contributions from the hack was available on iTunes within two weeks, and several improvements have been made to the API’s of several government databases. – Second take – make new versions of old photos to see how the environment has changed. Share a quick glimpse of changes in your surroundings! Second Take gives you the opportunity to post a photo snap of today and add it into a historical context. By mixing new and old photos of the same spot you interact with history in an easy way and contribute to the documentation of the development of society. Compete against your friends and contribute to enrich the Norwegian public Museums collections! The app is good example of crowd sourcing – users enriching historical photos in Digitalt Museum (Norwegian Museums digital collections) by adding coordinates. Furthermore, the users’ photos will be uploaded to Commons and are thus available for documentation.